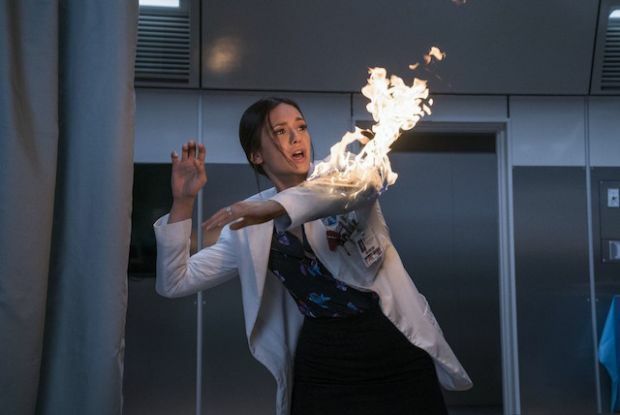 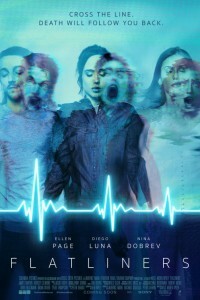 In the movie Flatliners, a remake of the 1990 movie of the same name, medical students experiment on “near death” experiences that involve past tragedies until the dark consequences begin to jeopardize their lives. 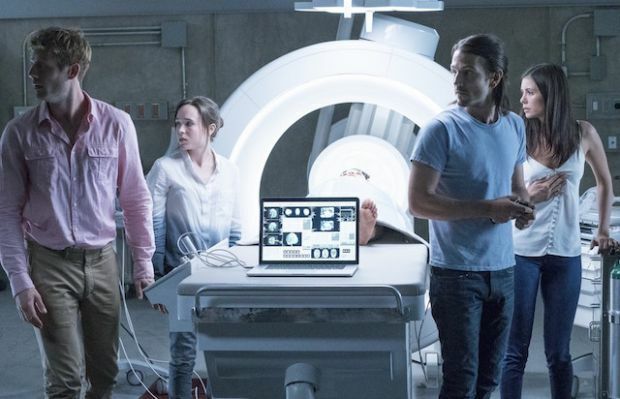 They begin having flashes of walking nightmares from their childhood, reflecting sins they committed or had committed against them. 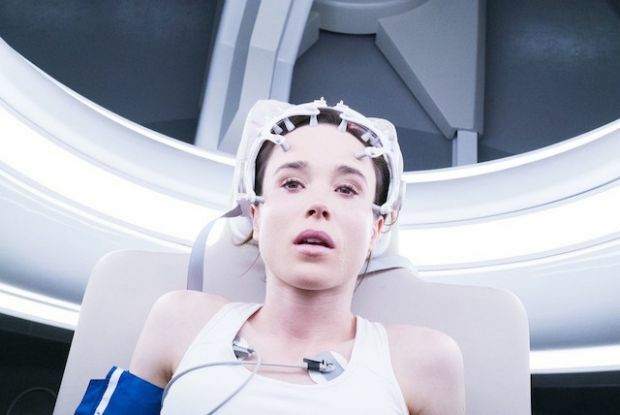 The experiences continue to intensify, and they begin to be physically beaten by their visions as they try and go deeper into the death experience to find a cure. 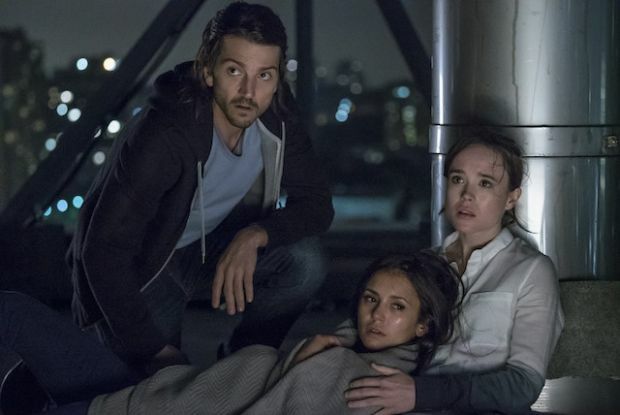 Diego Luna, Ellen Page, and the star of “The Vampire Diaries”, Nina Drobev, star in the Flatliners remake, which is from first time director, Niels Arden Oplev.